The Air Force announced dates and locations of the 14 upcoming innovation workshops open to the public during the Science and Technology 2030 Summit in Washington, D.C., Jan. 18, 2018. “We will continue to invite participation by nontraditional partners, including the next generation of scientists and engineers, in an effort to collect ideas from people who don’t normally interact with the Air Force,” Wilson said. March 11-15, 2018: The Minerals, Metals & Materials Society (TMS), Phoenix, Ariz.
March 22, 2018: University of Nebraska, Lincoln, Neb. March 29-30, 2018: Best Practices from State and Federal Government Organizations, Washington, D.C.
April 22-26, 2018: American Institute of Chemical Engineers (AIChE), Orlando, Fla.
April 26, 2018: University of South Florida, Tampa, Fla.
May 6-11, 2018: National Defense Industrial Association (NDIA), Indianapolis, Ind. May 10, 2018: Indiana University, Bloomington, Ind. May 21-24, 2018: Society for the Advancement of Material and Process Engineering (SAMPE), Long Beach, Calif.
May 22, 2018: University of Washington, Seattle, Wash.
June 21-22, 2018: Best Practices from Industry and International Organizations, Washington, D.C. 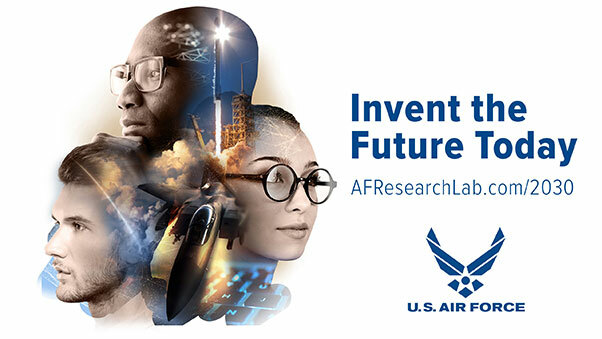 In September, the service began a review of its science and technology strategy led by the Air Force Research Laboratory with a focus on identifying the highest priorities for Air Force research and examining the way in which the service conducts its research. 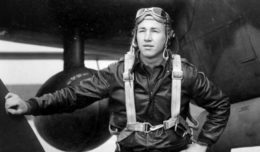 Wilson emphasized the importance of extending outside internal research to ensure the Air Force stays on the cutting edge of technology. “In a world where far more innovation is happening outside the government than inside it, connecting to the broader scientific enterprise is vital,” Wilson said. Air Force senior leaders believe the answers to the most complex security issues will be delivered by harnessing the power of innovators and entrepreneurs worldwide. For more information, visit www.afresearchlab.com/2030.